Coke vs. Pepsi. The Beatles vs. The Rolling Stones. The Cubs vs. The White Sox. Rivalries fuel so much of pop culture, often helping both halves of the debate by thrusting them so regularly into the national conversation. It certainly feels like the debate as to whether or not the “Call of Duty” or “Battlefield” franchises are the modern leaders of the first-person shooter genre has helped both series. While “CoD” has been more consistent, releasing a juggernaut of annual releases, the “Battlefield” alliance is strong and vocal. What’s been interesting to watch over the last few years is how the titles have pulled away from each other stylistically. Sure, to a casual non-gamer, they are probably virtually the same thing, but anyone who spends even a small amount of time with them will see notable differences. The two latest releases, “Call of Duty: Black Ops 4” and “Battlefield V” are completely different animals, taking more inspiration from popular shooters like "Fortnite," “Overwatch” and “Destiny” than from one another. First, a bit of history. “Call of Duty” is, by some metrics, the biggest entertainment property in the world. Over the last 15 years, it has made billions of dollars, with each annual installment outselling the one before. In an era when even tentpole franchise films can disappoint, one thing that can be relied upon is that the October/November “Call of Duty” release will be a monster. The latest, last month’s “Call of Duty: Black Ops 4” is the 15th installment in the series and there are thousands of people playing it right now when you read this, half of them swearing at their screen as they get shot by the other half. And yet Activision and Treyarch are not purely resting on their success, overhauling elements of the multiplayer experience, and, for the first time, eliminating the single-player campaign altogether. 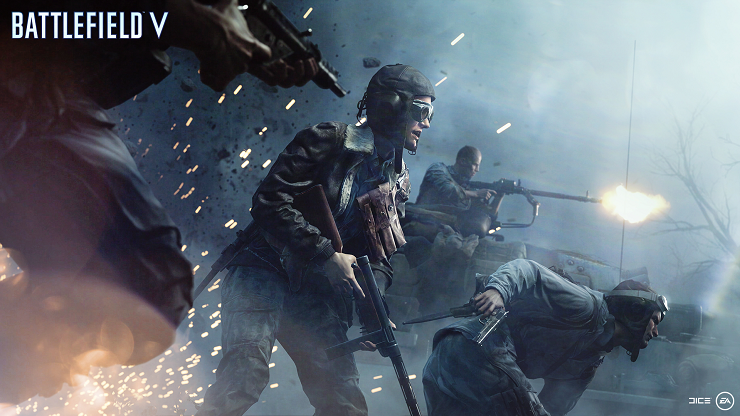 The same holds true for “Battlefield V,” although it feels a bit more tied directly to the last “Battlefield” release than “Call of Duty.” The 16th installment in the “Battlefield” series is more of a direct sequel to “Battlefield 1,” with the same campaign-esque, episodic series called “War Stories,” and a great deal of the same mechanics and gameplay. There are new elements, including building defenses and garrisons in multi-player, but the game is essentially the same. Perhaps the most notable new element is that all DLC will be free. Unlike past years in which players had to purchase a Season Pass to get new maps, DICE and EA will be releasing new stories and other content throughout the year. This is a lot like the way “Destiny” revolutionized gaming. That game called each calendar year after release a “season,” releasing new missions, weapons, and even story chapters. It’s a way for publishers to keep gamers holding on to their games, making them constantly evolving in a way that selling them back to Gamestop is less likely. To be blunt, as someone who has played a vast majority of the games in both franchises and spent hours with the new ones, both of the new installments are excellent. They are examples of major franchises refusing to rest on their success, recognizing that one failure can derail even the strongest series of games (although “Battlefield” did somehow survive the mess that was “Battlefield: Hardline”). The new games really amplify the strengths of each franchise. For “Battlefield,” it’s always been about map design, and the ones that make up the foundation of the new game are among the best in the series. Not only are they intricately, brilliantly designed, but they evolve over the course of a match. In other words, don’t take shelter in a small home in a village because those walls can’t withstand tank fire. A map often looks totally different by the end of a match, decimated by the carnage it’s seen. The “War Stories” are an interesting diversion but also pale in comparison to the depth of multiplayer. It’s fascinating to consider how the roles of campaign and multiplayer have changed. For years, the former was the draw and what developers put the most energy into. Now it’s almost an afterthought and excluded entirely from the newest “CoD” game. People are in these games for the multiplayer, the chance to join squads of friends and level up their characters and weapons. It’s interesting that EA is going to release new War Stories as the year goes on, and so it could gain some traction, but it feels like people are in “Battlefield V” for the multiplayer and those people are very happy. It’s a gorgeously conceived and executed game, fluid and addictive with very few bugs in the early days and reasons to be excited about what’s to come. “Black Ops 4” is more of a mixed bag. As “Battlefield” has gone back in time this year to WWII, “Call of Duty” goes to the future again with weapons and devices that soldiers only dream of now. 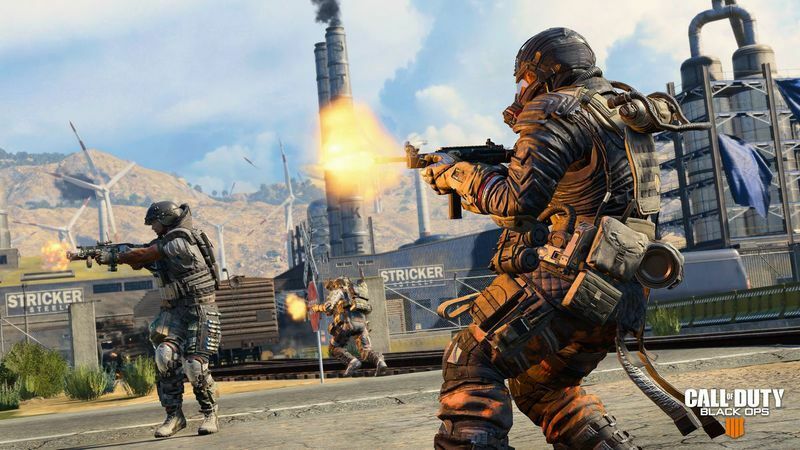 There are minor changes—health doesn’t recover in multiplayer, there are specialist types that encourage teamwork, and a new battle royale mode that feels inspired by the success of “Fortnite”—but it’s very familiar to anyone who played any of the futuristic “CoD” games. I’m a bigger fan of when “CoD” goes old-school in editions like “WWII,” but “Black Ops 4” is undeniably fun, even when it’s reminding you that your hand-eye coordination isn’t what it was in college. Of course, both games bring up an interesting question: As the country is dominated by stories of gunfire, will people ever tire of the sound coming from their TV in first-person shooters? I have to admit to a different feeling playing “Black Ops 4” on the same day my son had a lockdown drill at his school. And I think that’s likely one of the reasons these games have gotten so far away from where we are today with one going to the past and another to the future (a game like “Hardline” would work even less today). They feel more like trips to other worlds than ever, allowing us to escape the drama of real-world violence for hour after hour of fake-world carnage.